The aspect of Japan that I find more exciting is the one to be found in the Edo Period (1603-1868) when the country had come out from a long period of civil strife and was starting its journey to what we call “Japan” today. 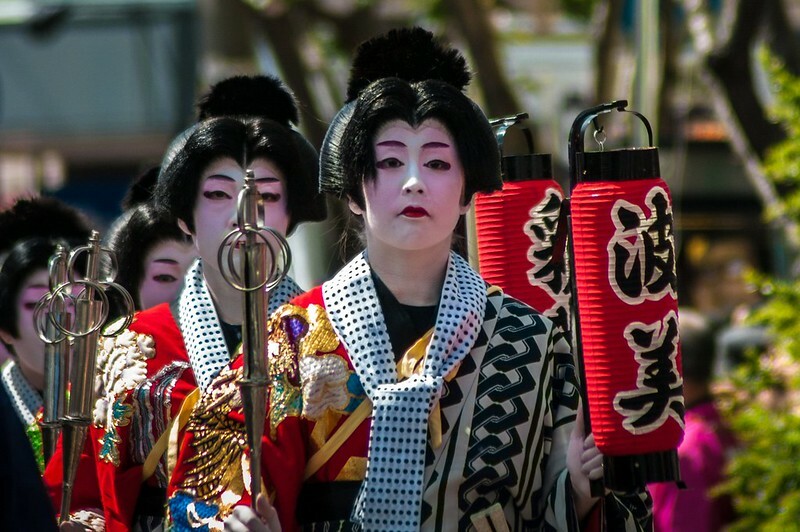 Although the boundaries of a “medieval period” are not very well defined in Japanese history, the Edo Period, two and a half centuries of military dictatorship by the dynasty starting with Tokugawa Ieyasu (1543-1616) and ending with Tokugawa Yoshinobu (1837-1913), the nominal shogun who handed the reins of the country to the Emperor Meiji, was the closest we could call “renaissance”. 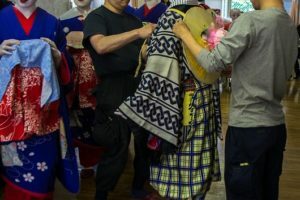 It is very hard for the Westerner to think of a dictatorial regime granting numerous privileges to the warriors’ class, a society organized on clearly defined classes reminding the Indian castes and based on a rigid Confucian ideology and a political system minimizing to the bare essentials any communication with the outside world as “progressive” –and it certainly wasn’t. 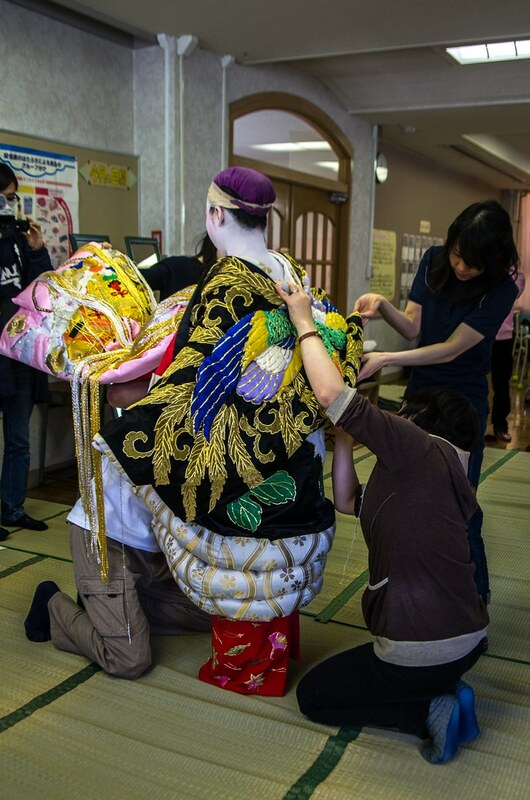 But at the same time, and because in Japan the difference between the “omote”, i.e. 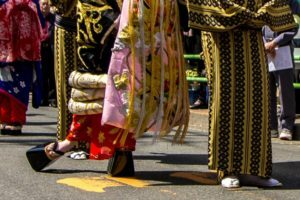 the front, the overt and the commonly accepted and the “ura”, the back, the covert and the commonly practiced is much more intense than elsewhere, the years of Edo saw the rise of an urban culture much more liberal than one would imagine. 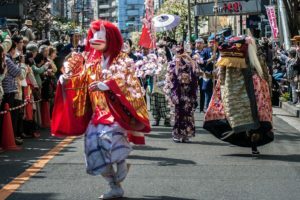 One of the characteristics of Edo culture was the method used by citizens to entertain themselves; and by “citizens” I mean both the samurai bureaucrats and the merchants and artisans who formed the civilian basis of Edo and the other major cities. 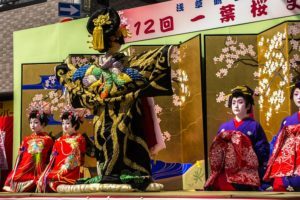 As expected, especially in communities which were dominated by men, part of this entertainment was prostitution which, as happens with almost everything in Japan, then and now, was organized since the beginning of the era (i.e. 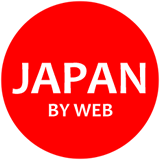 in the beginning of the 17th century) in closed systems-districts in all big cities. 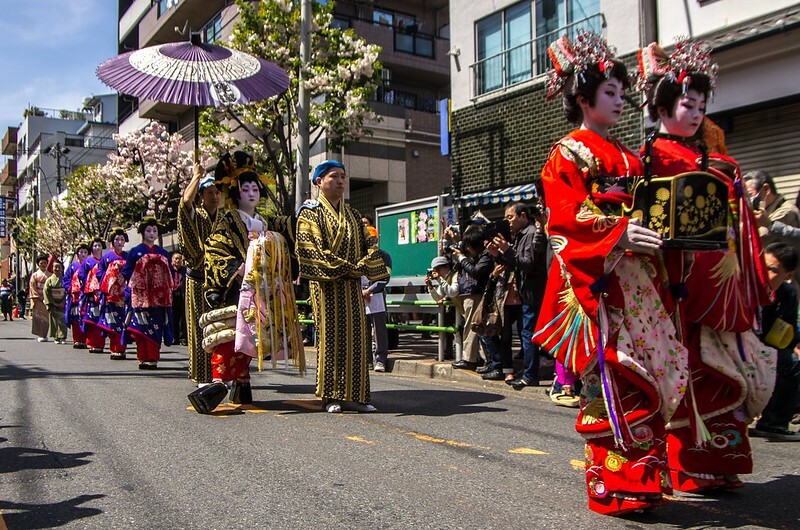 In Kyoto, still the capital (albeit in name only) it was Shimabara, in Osaka it was Shinmachi and in Edo the Yoshiwara, first near Nihonbashi and later in today’s Asakusa, in the area now called Senzoku. 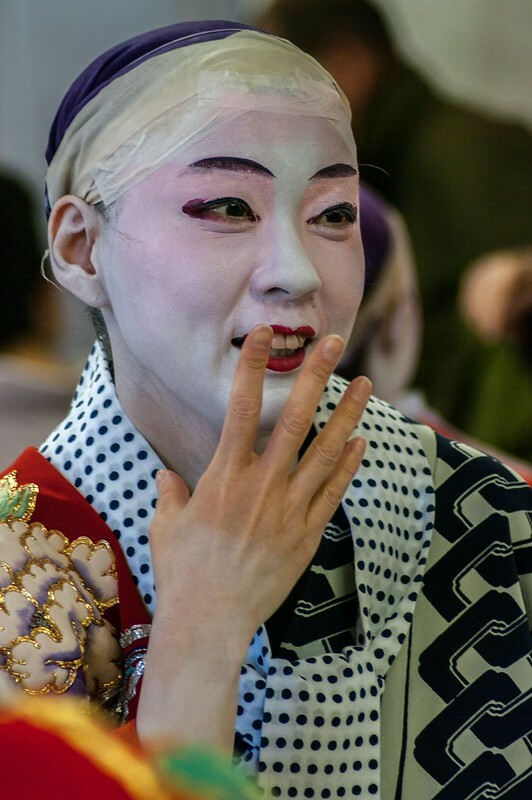 The most surprising fact about the Yoshiwara was that it was something beyond a cold bazaar of flesh: its teahouses and “houses” were for many years a magnet for the artists and the esthetes of Edo, all those who developed the idea of the “floating world” (uki-yo) and impressed it in their writings, their poems, their paintings and their plays. 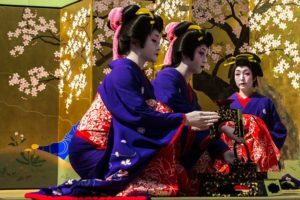 And in the meetings of those people, the top courtesans of the Yoshiwara played an equal and often protagonistic role, covering partly what would later pass to the hands of the geisha (who, incidentally, were also born in the exact same places). 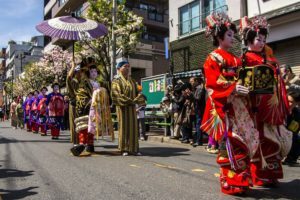 Yoshiwara was completely demolished after the American occupation in the end of the 1950s, together with the outlawing of prostitution. 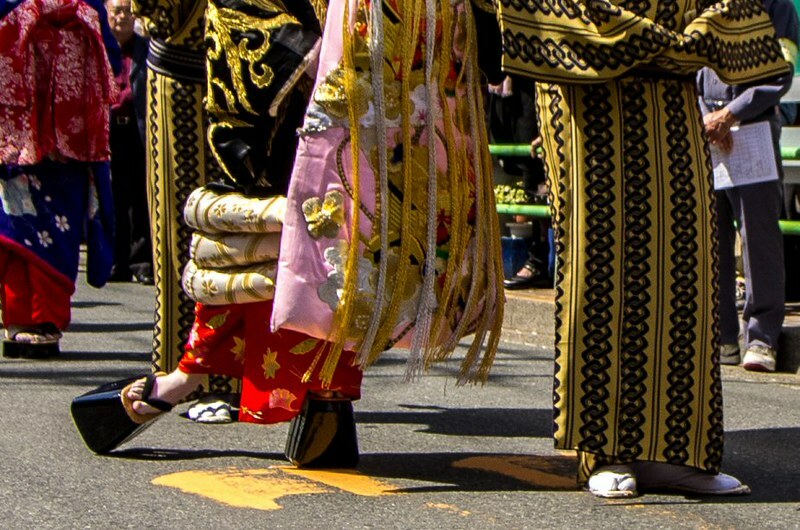 The area hosting it changed drastically –as was the case with all Tokyo- and today nothing brings to mind the time it was the epicenter of Edo’s cultural activity; some marks are still there but the visitor must be very careful and well versed in the Japanese language, culture and semiotics to locate them. 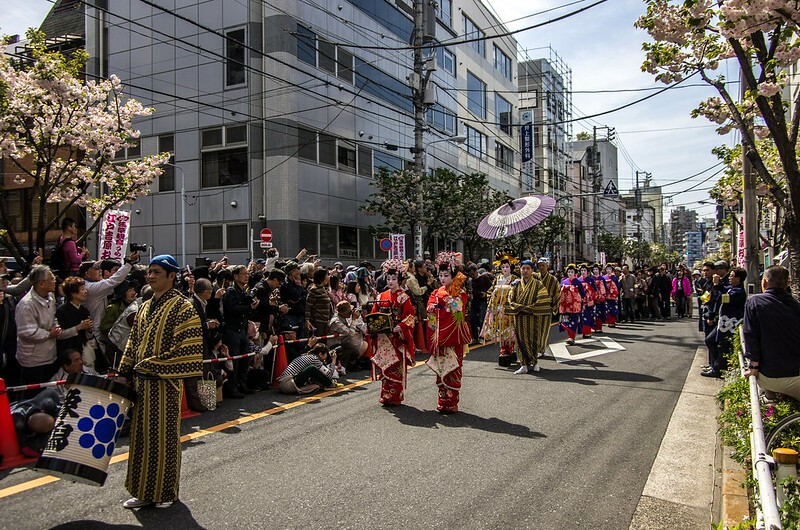 Unless they happen to find themselves there in mid-April during the “Ichiyo Sakura Matsuri”. 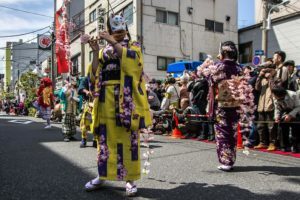 Organized by the citizen associations of “oku” or “inside” Asakusa, the areas that are behind Sensoji Temple, the main reason tourists come to this part of Tokyo and undisputed heart of Asakusa (and perhaps all Eastern Tokyo and the old “low city” or “shitamachi”) the particular festival has at its center an “Oiran Dochu”, that is a procession-reenactment of similar processions done by the oiran, the courtesans of Yoshiwara in an attempt to advertise the houses they worked in. 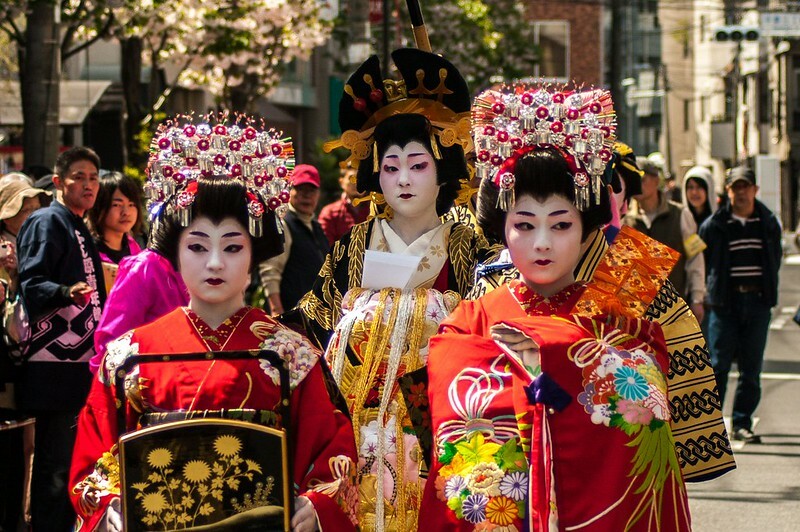 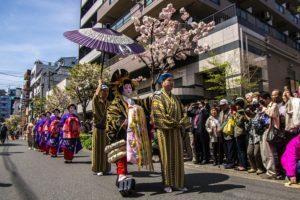 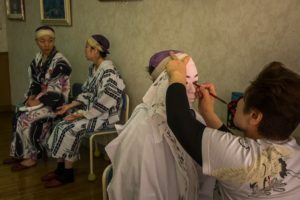 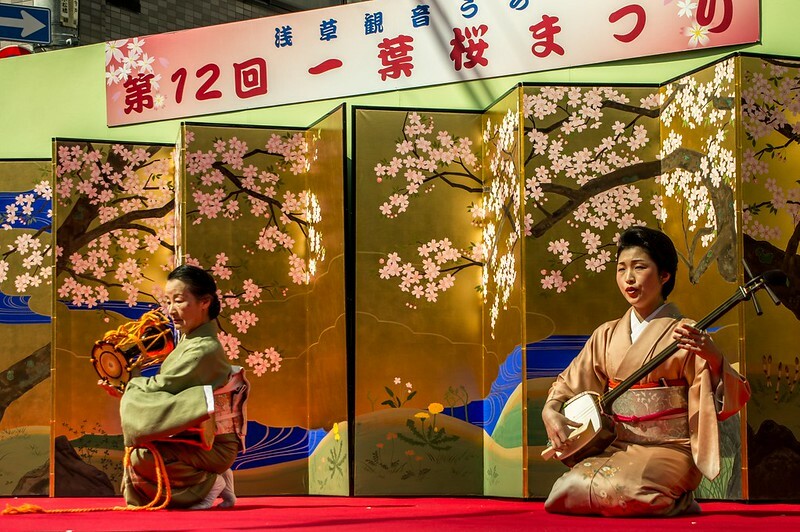 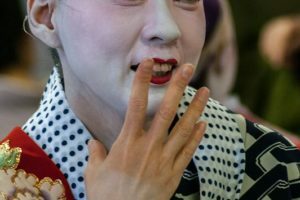 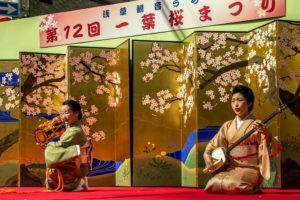 And although the people (mostly women) starring in present-day Oiran Dochu are just amateurs living in the area, the event allows for a taste of how things must have been back then, at least visually. 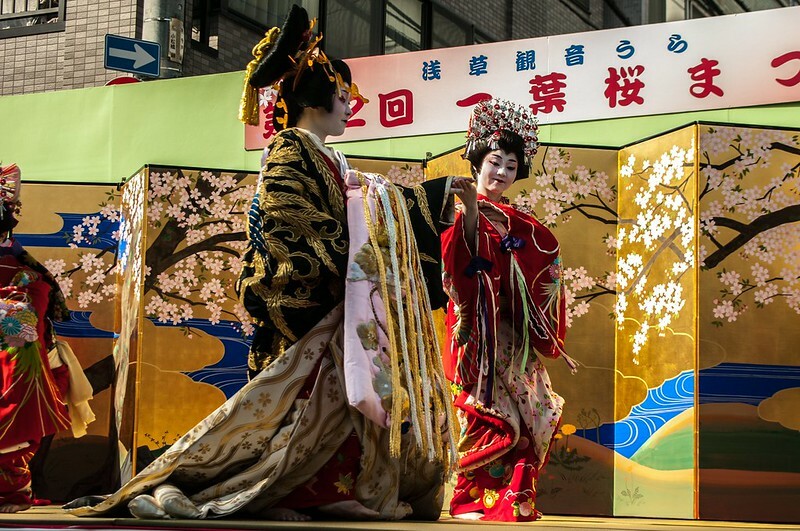 This year as well as the last, I had the good fortune to be allowed to watch the event from within, invited by the people of Yoshiwara/Senzoku and by Ms Okita, the director of the event; Ms Okita happened to know the last generation of the real Yoshiwara just when it was closing and as a dancer of classical Japanese dance she worked in the first “reincarnation” of one of its houses as a restaurant offering oiran-themed entertainment. 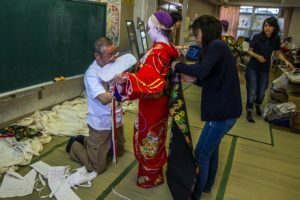 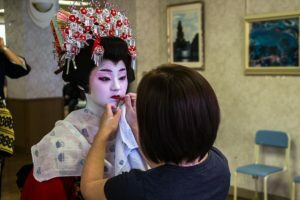 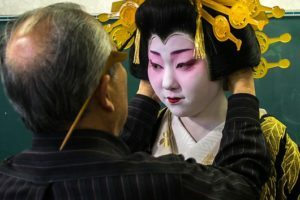 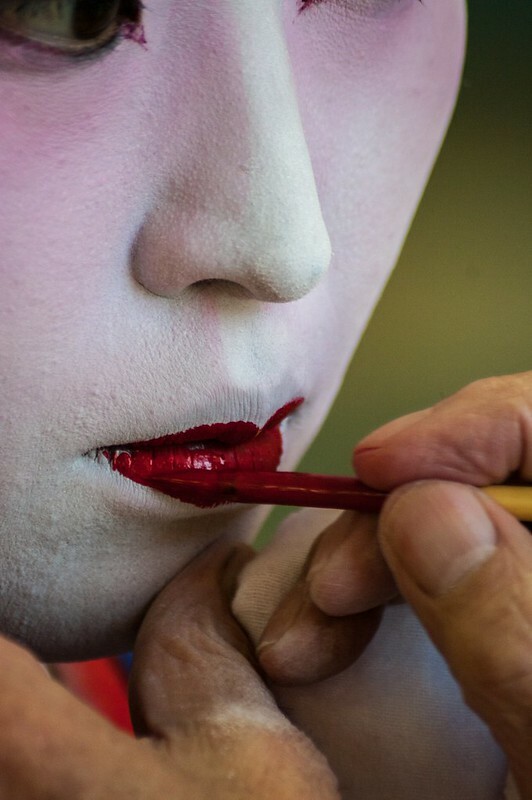 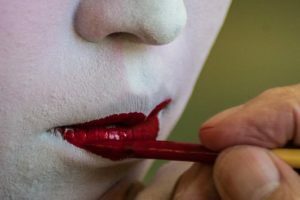 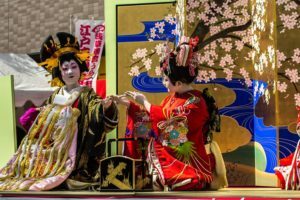 Although with time people lost interest in this kind of recreational pastime, her knowledge regarding the minutiae of the appearance and behavior of the oiran remained making her a de facto specialist for reenactment events of the kind. To describe all the details of the procession would need another article and I wouldn’t want to try the reader’s patience. 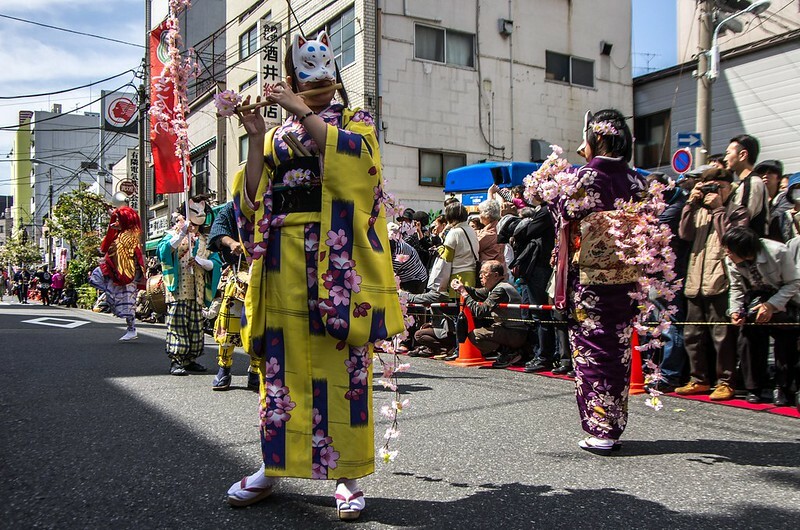 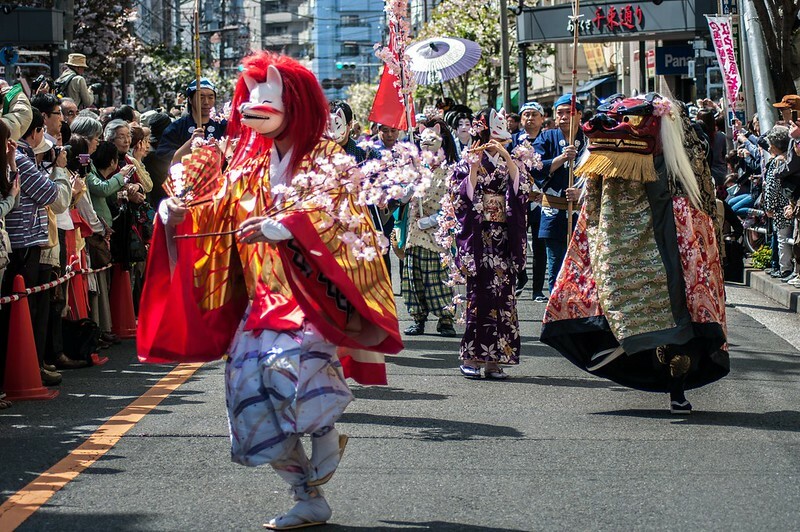 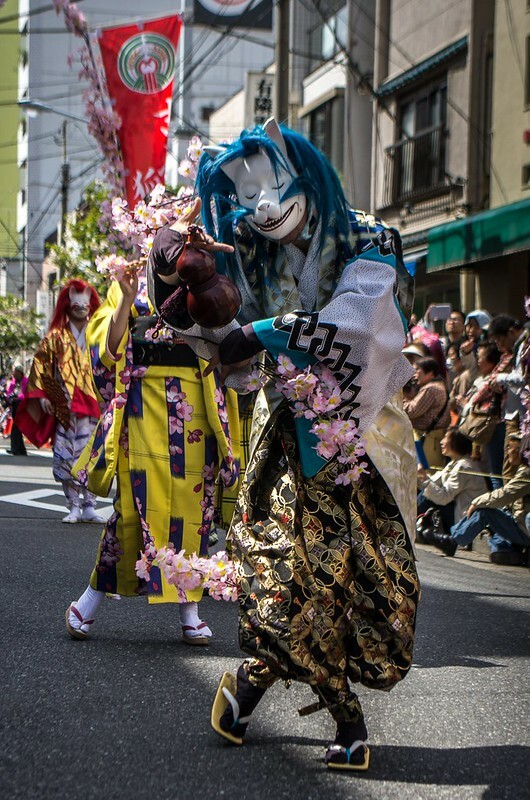 In short, heading the procession are dancers and musicians wearing masks of the fox “Kitsune” symbolizing the god Inari, patron of the Yoshiwara women and followed by the night watchmen “kanabo-hiki” holding metal sticks with rings to make noise and alert the crowd, the “tekomai” geisha wearing men’s clothes and hairdos, the “chochin-mochi” holding the paper lantern with the name of the “tayu”, the top courtesan, the “kamuro” (her servants) and finally the tayu herself accompanied by her “katakashi no otokoshu” supporting her while she performs her “soto-hachi-moji” step in her high clogs and her “kasa-mochi no otokoshu” holding her enormous umbrella. Closing the procession are the apprentice oiran called “furisode shinzo”. 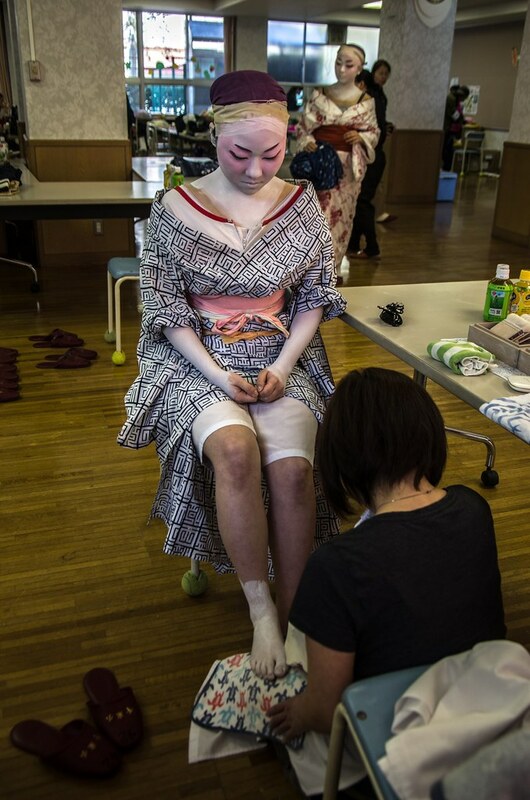 The pictures accompanying this article might offer a glimpse of the event. 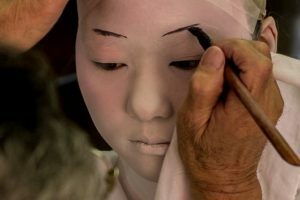 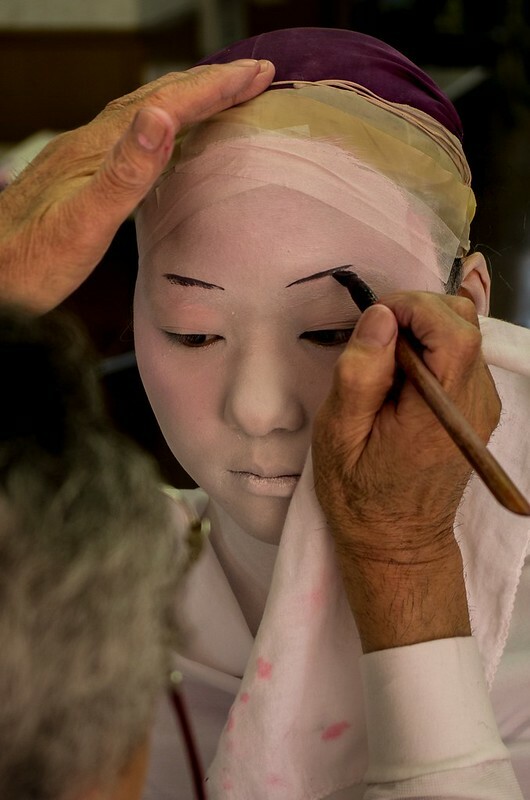 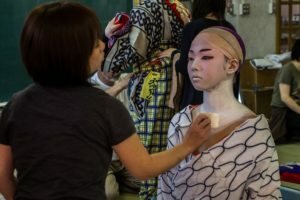 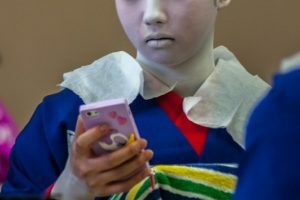 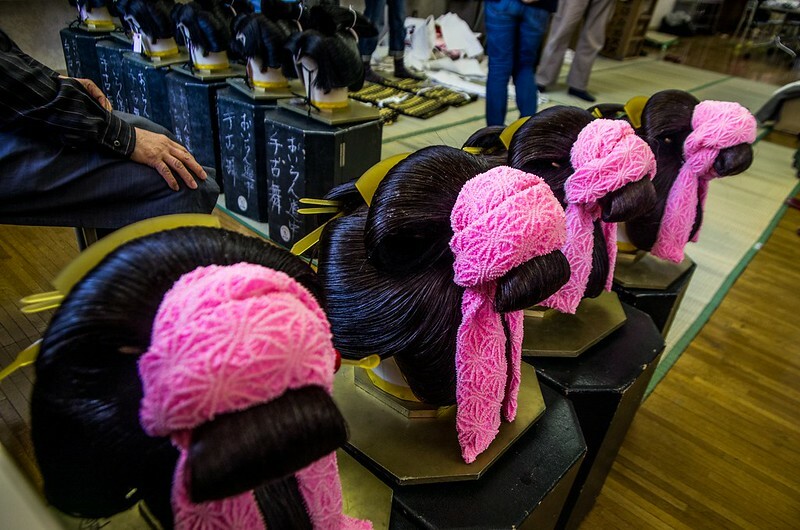 What they can’t convey are the dozens of rehearsals preceding it so the girls participating could learn to move in the heavy kimono worn by the Yoshiwara courtesans, the special clogs (which, especially in the case of the tayu are about 8 inches high), the wigs built on metal “scaffolding” and weighing about 10 pounds and the thick white makeup similar to that used in Kabuki theater. By the same token, they can’t convey the work of about ten specialists (tailors, makeup artists, hairdressers etc.) 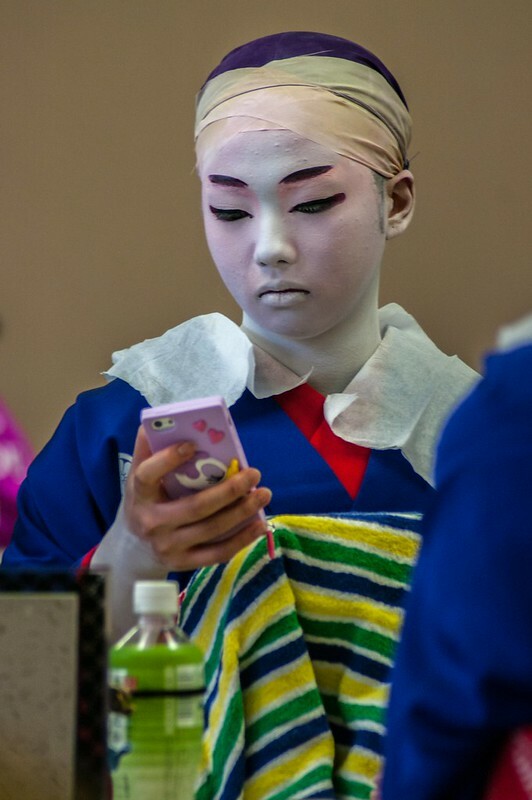 all of who have devoted their lives to a specific dimension of this look and the behavior accompanying it. 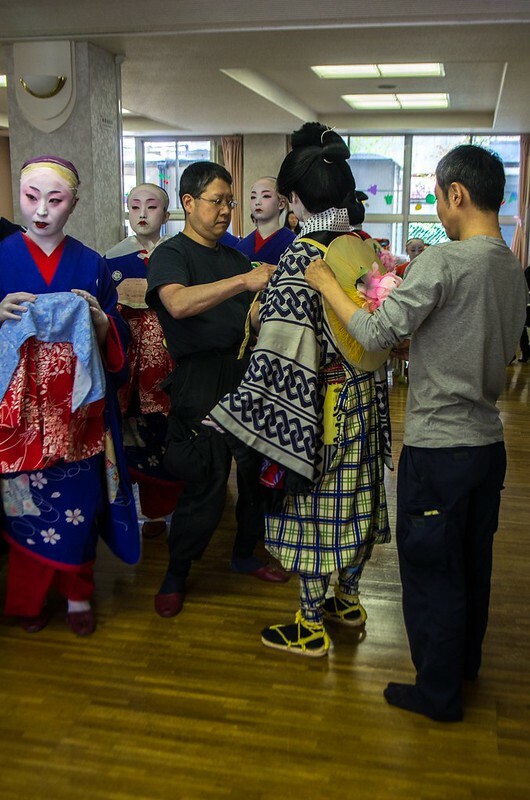 Even more so, what they certainly can’t convey is the enthusiasm of the people involved none among who is a professional actor or dancer: these are people living in the area who want to do something to bring people to their neighborhood and who gradually become specialists of Yoshiwara and its peculiar customs. 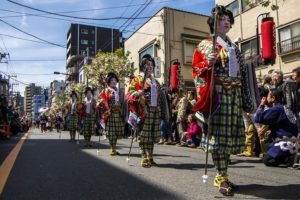 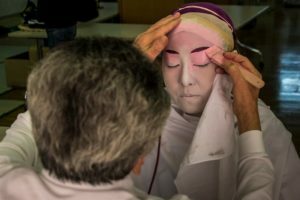 Or the corresponding enthusiasm of the viewers crowding in thousands all along the 1,5 mile route of the procession to take pictures, admire the costumes and the way people move and remember something from the history they learned at school –or relearn it from scratch. 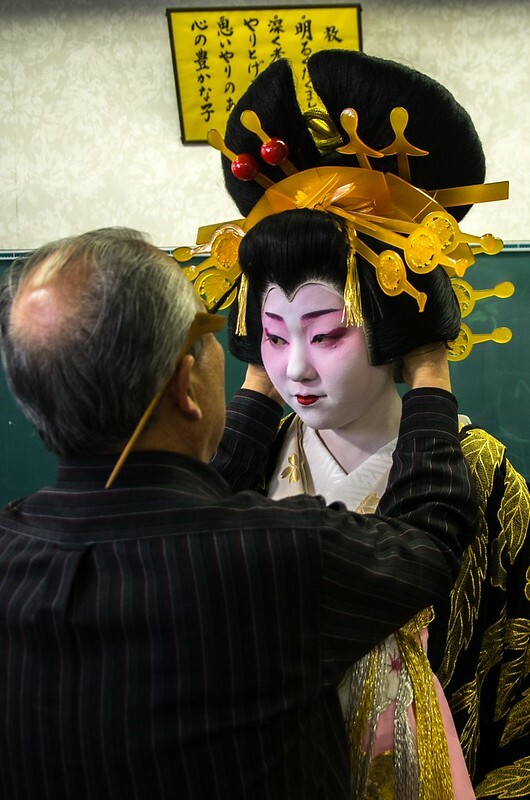 There is little doubt that the Oiran Dochu of today is but a superficial presentation of Yoshiwara’s shell. 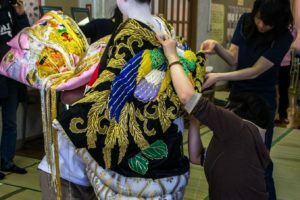 But because the shell is kept relatively intact, the viewer can –if willing- pass the surface and immerse in the area’s history, in the parameters of the social issue of which it was the stage and in the culture that surrounded it; in Taito Ward’s municipal library (Taito Ward is the ward where Yoshiwara and Asakusa belong to) there is a special section on Yoshiwara consisting of hundreds of titles and spanning over two centuries. 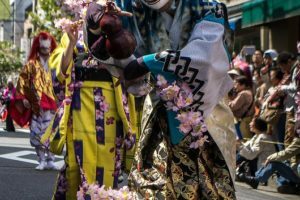 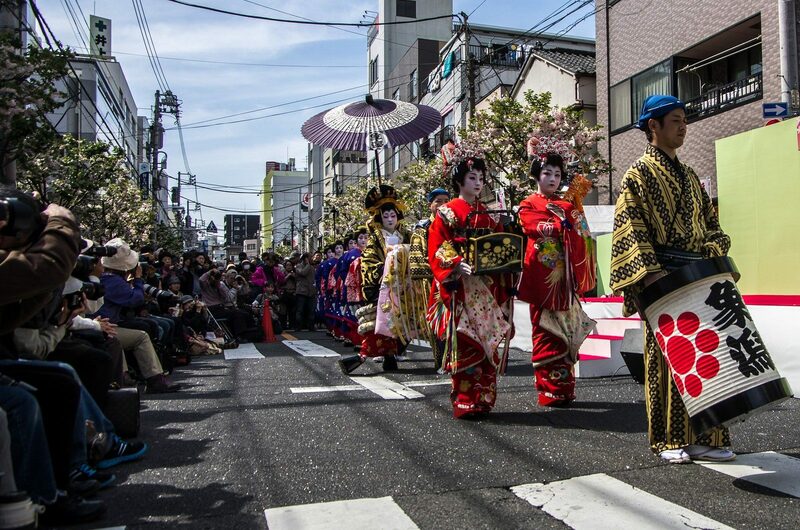 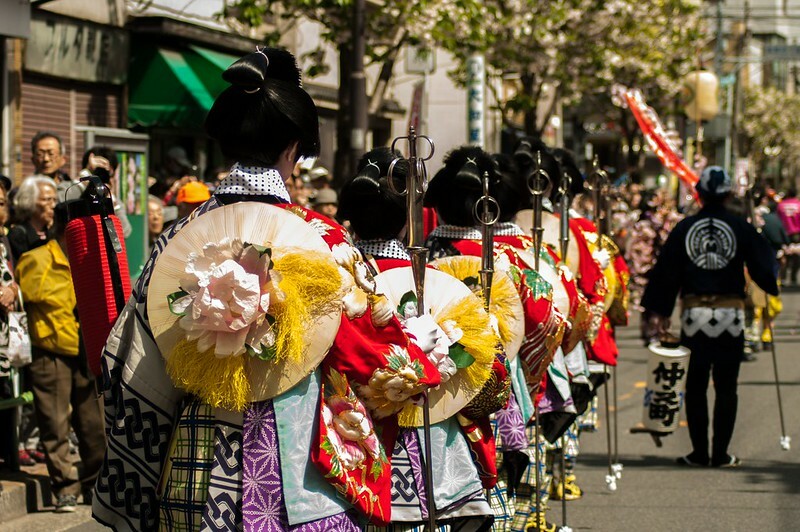 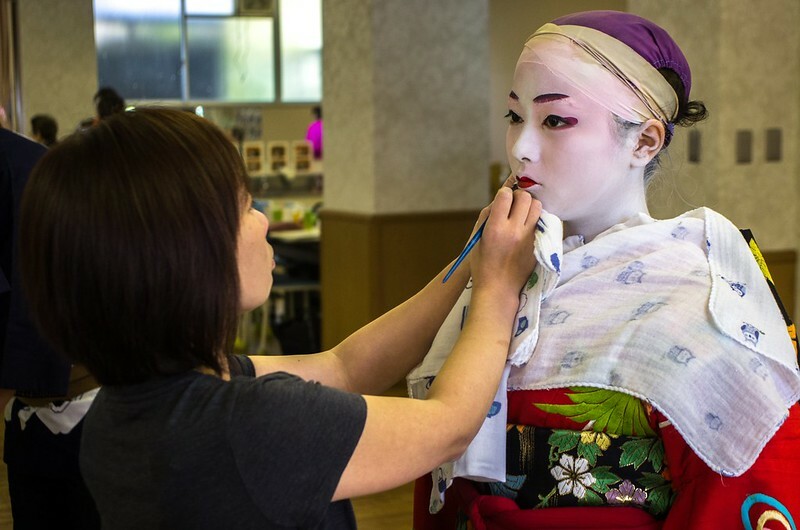 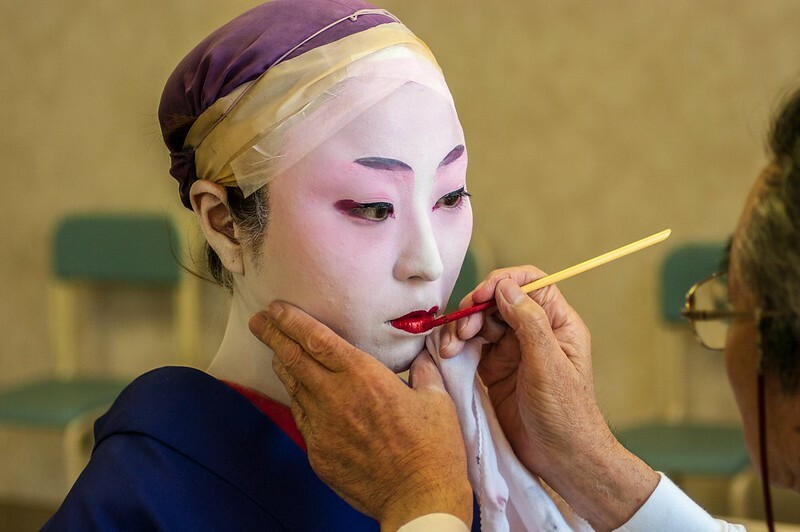 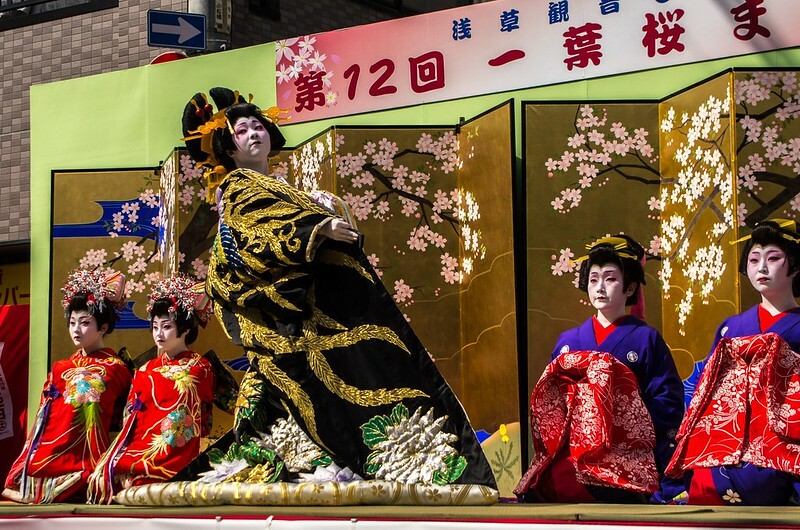 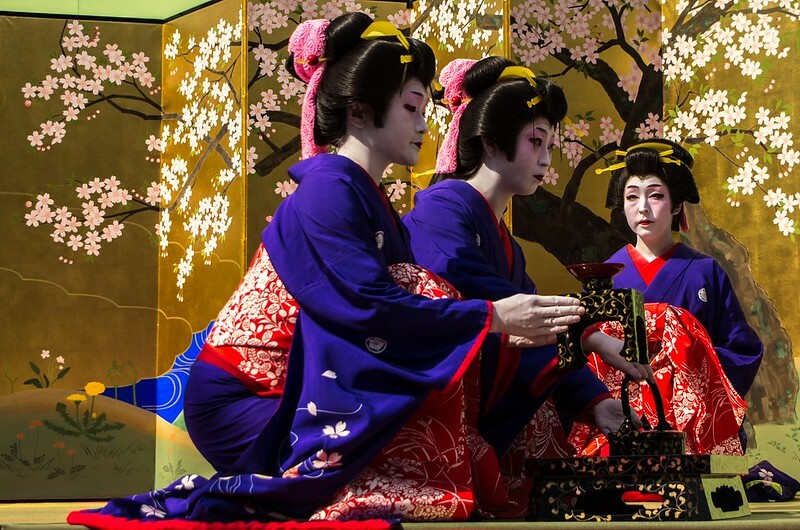 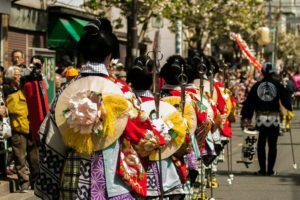 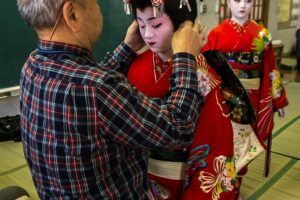 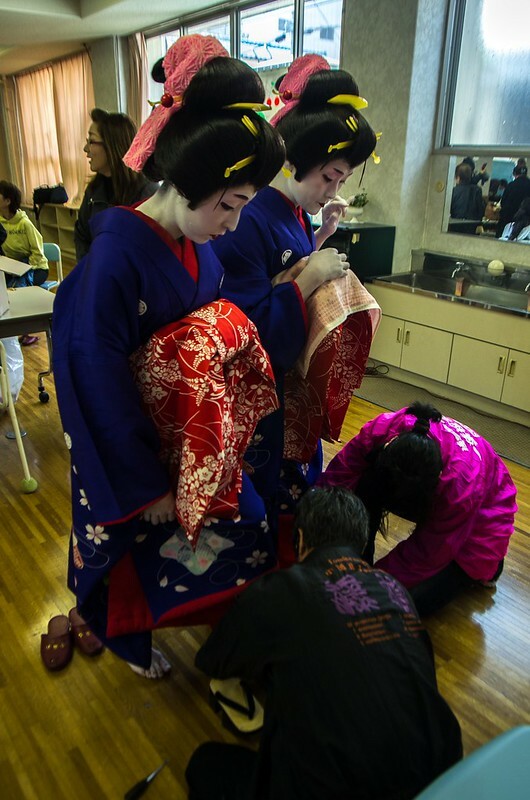 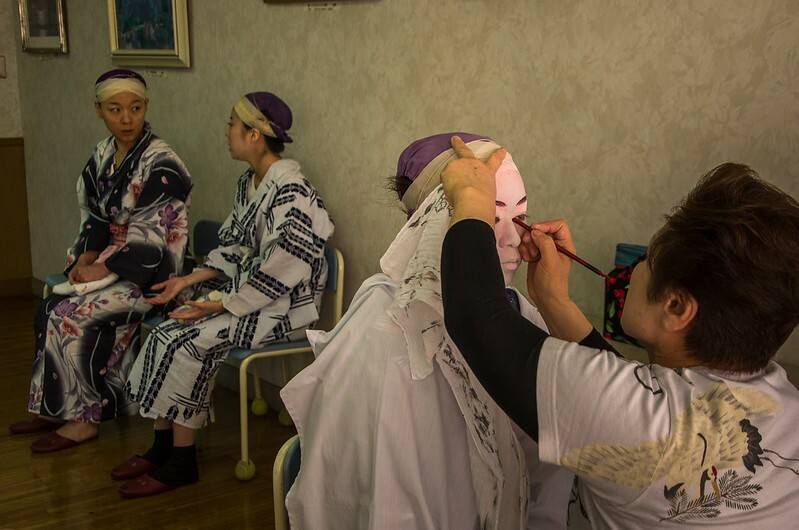 Even though the casual observer might only see in Oiran Dochu an attempt by the locals to lure tourists, in reality the event is staged less for the sake of the visitors and more as an honest attempt of the people of Yoshiwara to keep the memory of their land alive.